Here’s a peek at one of this month’s Empire illustrations. 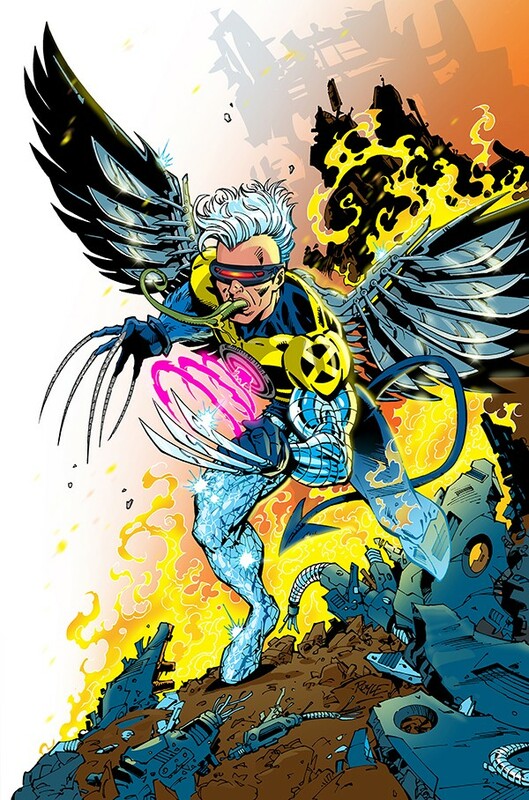 For the X-men mash-up, Empire wanted me to design the ultimate X-men mutant, based on a list of X-men body parts/powers from the new X-men movie universe. It was great fun to do and I was pleased with how the diamond leg turned out when coloured.